Cloud self-organization over the Western Pacific (image: NASA). Image acquired by MISR’s nadir camera on March 11, 2002. 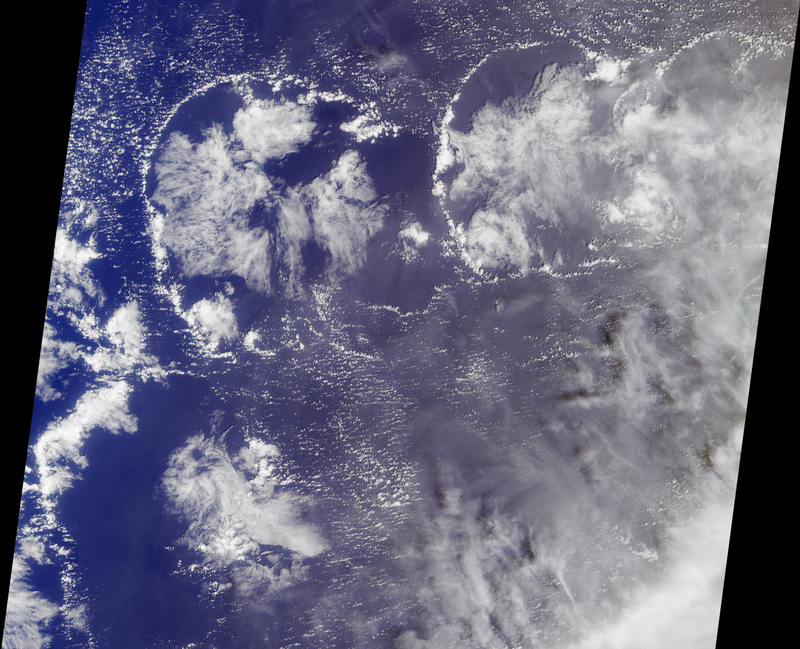 Image centered west of the Marshall Islands. Please join this small and focused workshop on simple, idealized, models related to the self-organization of the convective cloud field. The aim is to have short presentations (roughly 30 min per speaker) and plenty of room for debate. We would like presentations to open up the discussion on new, meaning: only partially developed, ideas which can perhaps turn into joint projects as an outcome of the workshop. The focus is on self-organization: from "within", from "the outside" and "from the boundary". Workshop participation is free! If you would like to participate, please contact Jandirectly.